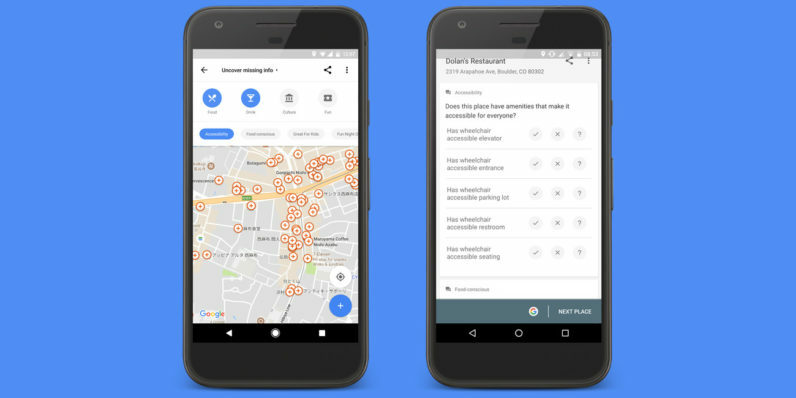 Over the years, Google Maps has evolved into an incredible resource for finding your way across the globe – and now, it’s about to get better for the differently abled. The app now lets users add accessibility information for any location they visit, simply by indicating whether the place has wheelchair-friendly entrances, seating, parking, and elevators. Google says its users have already added this information for 7 million places worldwide. If you’re on Android, you can get in on it too: fire up Maps on your phone, open the main menu, and tap “Your contributions.” Next, hit “Uncover missing info” and sort by “Accessibility” to add your findings. Alternatively, tap “Know what features this place has?” to add accessibility info when the app prompts you. Both methods only take a few seconds, and are certainly worth your time for helping people with chronic and temporary difficulties in getting around.